You know your vehicle needs to be able to start, and accelerate, and take every turn with ease. While performance is a vital function, there’s something of even greater importance for your safety. How well your vehicle can stop. 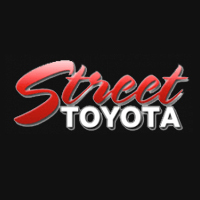 At Street Toyota in Amarillo, Texas, we put the safety of our customers first. That’s why our factory-trained technicians know what to look for when checking your brakes, when to recommend a brake pad replacement, and which Genuine Toyota brake parts to use in your vehicle. Grinding, growling, or scraping noises. Who should you go to if you need to fix any of the above brake problems? The staff at Street Toyota is happy to address any of these concerns or others you might have about your vehicle or brakes. Pay us a visit at 4500 South Soncy in Amarillo, Texas, give us a call at (888) 237-5761, or schedule a service appointment online. If I asked you how your vehicle performs, you’d probably think about how fast it goes, or how well it handles. But an equally important performance standard is how well it stops. Why? Because braking performance is essential to your safety. The condition of your vehicle’s braking system components, like brake pads, determines how quickly your vehicle stops. Excessive brake pad wear can lead to a reduction in brake performance, and can also lead to damage to the brake rotors, further reducing stopping power and increasing repair costs. Here are a few tips to help you know when your brake pads are worn. Do you hear a noise when you apply the brakes? Or, do you feel a pulsation, or vibration, in the pedal? Does your vehicle pull to one side when stopping? Your Toyota technician has been trained to quickly determine whether or not your brake pads need replacing. When that time comes, replace them with Genuine Toyota Brake Pads. Our brake pads are engineered specifically for your vehicle, offering a more precise fit than aftermarket brands. They’re made of the highest quality materials designed to offer superior braking performance while helping to reduce rotor wear and maintenance expense. They offer a long service life, stand up to the highest braking demands, and are backed by our 12 month, unlimited mileage warranty. If you think your brake pads might be worn, don’t wait – call your Toyota dealer, or go online to schedule a thorough brake inspection today.